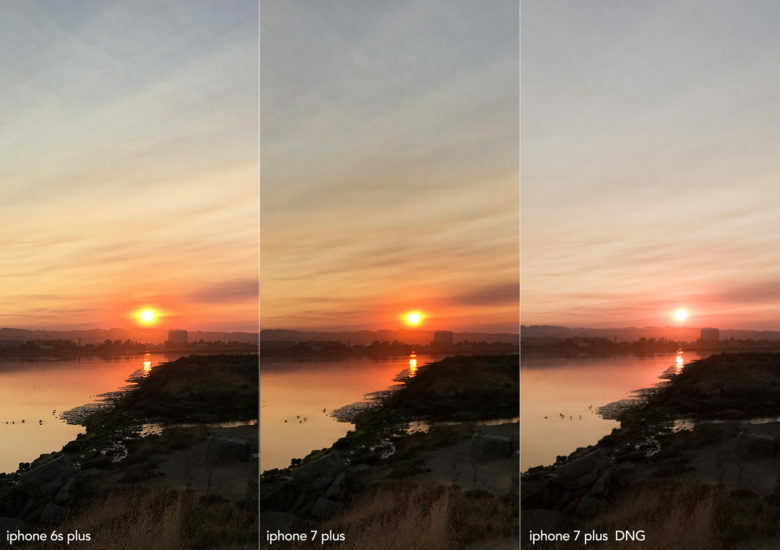 What makes a better sunrise, the iPhone 6s Plus or the iPhone 7s Plus? The photographer sees the difference. I was raised by careful shoppers in a home where Consumer Reports magazine was like a second Bible. Cars, a new washer and dryer, and a vacuum cleaner to handle the then-new orange shag carpeting were not purchased without first consulting this venerable institution of objective product testing. So I hit the pause button on my excitement for the iPhone 7 camera when I read a Consumer Reports review that claimed the iPhone 7 represents “no major leap in camera performance” from the 6s. The iPhone 7 and 7 Plus were unveiled during Apple’s fall product launch on Sept 7. While lots of bellyaching about the lack of a headphone jack bubbled up on social media, experienced iPhone photographers and many tech observers saw great innovation and possibility with the camera. Both handsets have a new, larger sensor that promises better colors and improved low-light photography. The 7 Plus, designed by Apple for serious photographers, adds a second lens, a 56mm telephoto with 2x optical zoom. Some pro photographers got early access to the 7 Plus and produced stunning images that went viral and revved up excitement among iPhone users about an upgrade. The dual-lens iPhone 7 Plus gets photographers excited. That’s why the initial review by Consumer Reports felt like a splash of cold water. The report, filed by CR veteran Terry Sullivan, also a photographer, was a first impression with more testing and published reviews to follow, he said. There were no side-by-side photos showing the comparisons. Maybe those will come later. The lead image on the post shows a figure in silhouette pointing an iPhone at a series of test patterns commonly used to analyze trueness of colors and sharpness of focus. Sullivan’s report read with the straight-forward language typical of a Consumer Reports review. The wording is careful to avoid subjective description and the kinds of adjectives that influence us in marketing messages. – The 1x still cameras on the iPhone 7 and 7 Plus produced admirable image quality, but did not outperform the camera on the 6s and 6s Plus. – We also tested the phone cameras in a controlled low-light scenario that’s equivalent to what you might experience in a dim restaurant. In this situation, the new phones seemed to perform no better than the iPhone 6s for still photos. 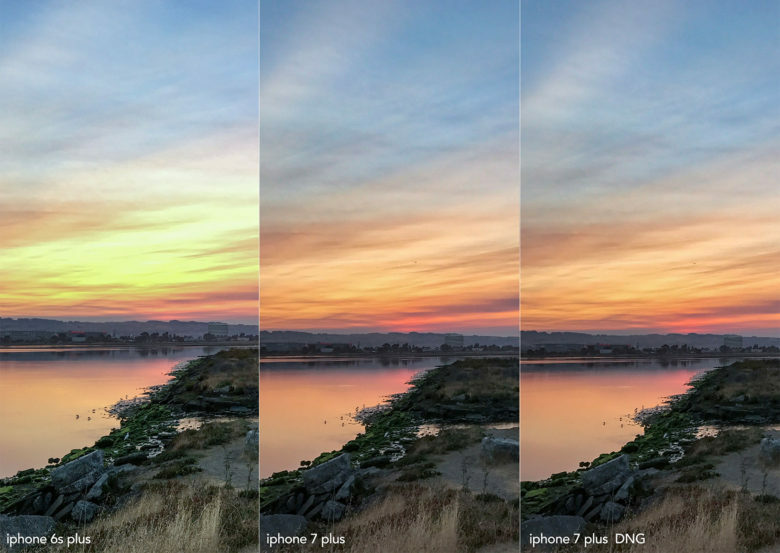 – The 7 Plus’s 2x still camera (with the equivalent of a 56 mm lens) did produce sharper images than the 1x lenses on the iPhone 6s phones and both 7 phones. Consumer Reports has been at this for 80 years. It claims it is “unconstrained by advertising or other commercial influences” and uses “rigorous research” and provides “evidence-based product testing.” Consumers Reports occasionally retracts a review and unhappy companies have sued its publisher, the nonprofit Consumers Union. Consumer Reports boasts it has more than 4 million subscribers to its magazine and more than 2 million who pay to subscribe to its website. I decided on the car I currently drive because trust of Consumer Reports is wired into my DNA. But photography is not about laboratory outcomes. It’s not even about camera brands. Pictures are made with our glands. Before an image is recorded on a sensor, it penetrates the heart, the gut, and the mind. Only to that end does the camera matter. Photographers are very careful to choose the tools that best articulate a vision. So I called on a couple photographers who have been shooting with the iPhone 7 Plus for the past few days. They don’t spend much time shooting test patterns. They are partial to the iPhone and its camera and have integrated it into both life and work. But they are also dedicated to their craft and would crow if they didn’t like the results of something new. Cielo de la Paz, whose stills and videos are often found in Apple’s marketing campaigns, immediately did a side-by-side comparison between the 6s Plus and 7 Plus and posted them on her blog. Cielo de la Paz likes what she sees coming from the iPhone 7 Plus camera. “I guess it depends on what they mean by ‘not much difference,’” de la Paz told Cult of Mac. “To me, it makes a difference but maybe I have the eye of a photographer and not the common person. Sports photographer Brad Mangin used the iPhone 7 Plus for the first time over the weekend at an Indy Car race in California and then flew across the country to shoot a golf tournament for the PGA this week. His iPhone photos, which he regularly posts to Instagram, have been creeping into his regular work since he got the iPhone 4S. He has produced magazine spreads and a book with his iPhone photos. More and more, he gets hired to shoot events with his iPhone. One lightweight handset suddenly is the equivalent of carrying two camera bodies, each with a different lens. Mangin was always careful when shooting details and portraits with the iPhone’s fixed, standard wide-angle lens. Get too close and the lens will distort lines and shapes, which is especially problematic with faces. 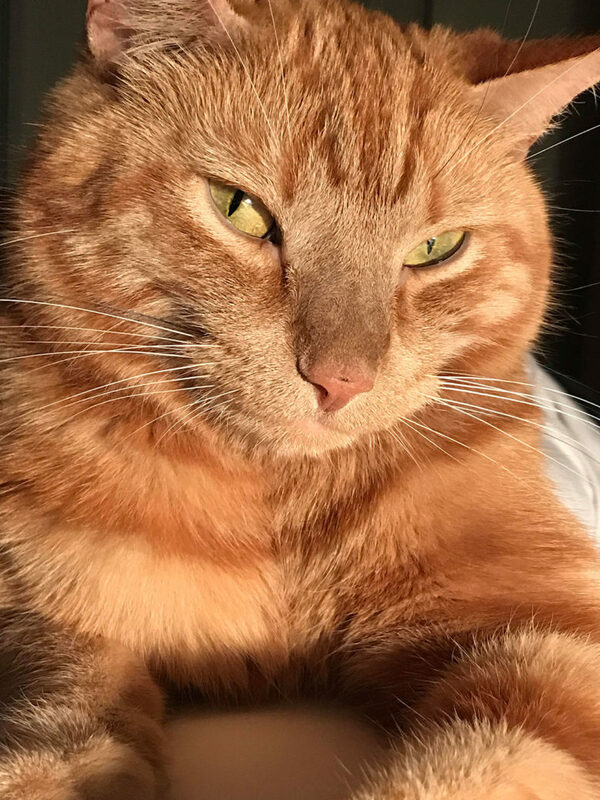 One of Brad Mangin’s first test shots with the 56mm lens on the iPhone 7 Plus was a portrait of one of his cats, Willie. Maybe Mangin has found the magic word that answers whether iPhone users should upgrade to iPhone 7 Plus. It’s a matter of perspective.